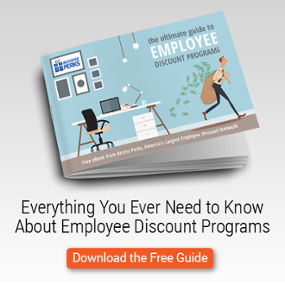 Pump up those employee benefits. There’s a war for talent going on! But you probably knew that. Recruiting and hiring has always been a challenge, and it’s getting harder, even for non-technical positions. Bad news: it’s only going to get more difficult. Check out Andrew Graft’s piece in TLNT for a full breakdown of why finding quality employees is going to be harder than ever, why that isn’t going to change anytime soon, and what you can do about it. A tipping point has arrived in the war for talent. Record low unemployment, job creation outpacing the labor pool, retiring Boomers, and several other factors are driving up demand. This competition puts employees in the driver’s seat. They can pick and choose who they want to work for. They can find the place that pays them the most, or the one with the best employee perks. Or just the one with the best culture. Regardless, employee engagement and retention should be a top-level concern for executive leadership, not just HR. How do you win this war? Get your leadership involved, then get creative. According to Graft, take another look at your compensation packages, invest in employee development, explore global labor sources, and more. Be sure to click over and read "The War for Talent Is About to Go Nuclear. Here’s Why and What You Can Do" for the full breakdown.